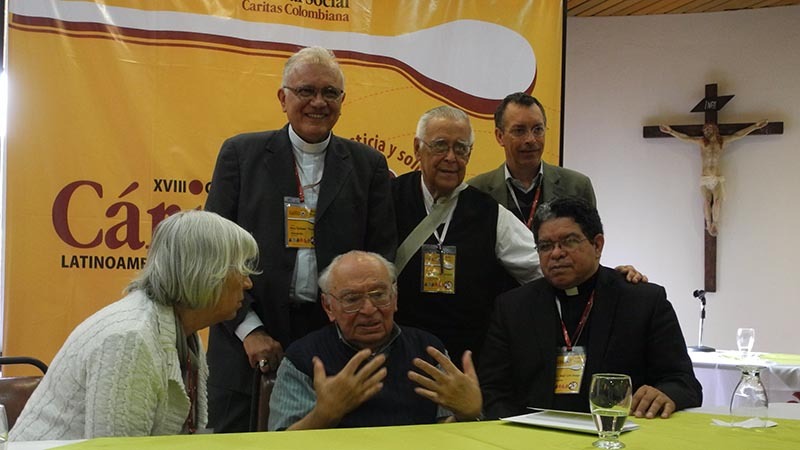 Gustavo Gutierrez is a theologian and a friend of CAFOD. He founded the Bartolomé de las Casas Institute in Peru, which is a CAFOD partner. In 2005 he gave our annual Pope Paul VI Lecture entitled ‘Remembering Romero in his XXV anniversary year’. Here, 10 years later, Gustavo shares his reflections on who Romero was and what he stood for. On 23 May, Mons. Oscar Romero will be recognised as a faithful witness (this is the meaning of the word ‘martyr’) to the life and message of Jesus of Nazareth. This recognition will have two principal moments: the beatification when he will be declared ‘Blessed’, that is to say ‘happy’, a happiness born of the will to live out the Gospel; and the canonisation, full acceptance of his sainthood, and his definitive presentation as an example for Christians today to follow. The process of beatification and canonization of the Archbishop of San Salvador has not been easy. 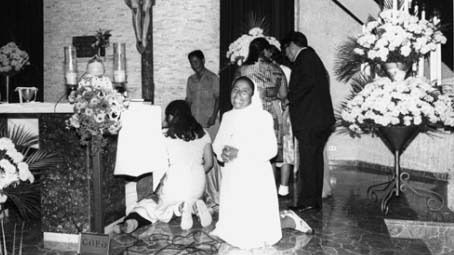 The people of El Salvador and Latin America in general recognised his sainthood and service very early on; the Bishop and poet Pedro Casaldáliga was quick to proclaim him Saint Romero of the Americas, but those who felt this was not prudent resisted and delayed; they saw him as an uncomfortable person, or they did not commune with the meaning of his preaching. Difficulties which have been overcome now by Pope Francis on reopening his cause, a cause that is part of a long and painful history, marked by martyrdom and lived by many in the continent (Latin America) for 50 years, and from which our own country (Peru) has not been exempt. The vast majority of the victims were people in solidarity with the poor. Romero did not seek martyrdom, he came across it in his faithful service to Jesus Christ. Ingenuously he said he feared they would kill him – something we all feared – but he refused to leave his people by fleeing the country. In the days following his assassination (24 March 1980) the endless queues to see and pray by his body in the cathedral were an impressive sight. They did so in silence before he who had given his life in their service, he had respected them as people and understood their suffering. His funeral was on Sunday, 30 March 1980, but it was deliberately violently interrupted, giving rise to great confusion and panic amongst the thousands of people gathered in the square, leaving dozens of dead, most through asphyxiation, others by bullets. It was in these circumstances, several hours later and virtually in secret that Mons. Romero was buried in the cathedral by the few people who had remained inside. Romero was, above all, a preacher. He prepared and wrote his homilies with the utmost care. We have them today in collections that run to several volumes. His was a voice heard throughout the country. His preaching demanded a just society, respectful of all its citizens, because, according to the Bible, that is the only way to achieve peace, but with an important emphasis on the rights of the poor and oppressed, just as Jesus did. In keeping with the “poor church for the poor” called for by Pope Francis. This proposal is in the spirit of the gospel, but it can be costly. The archbishop’s death was an assassination, a crime provoked by his firm stance as a shepherd who would not be silent when confronted with the abuse of a people subjected daily to injustices and harassments, a shepherd who the day before pleaded for and ordered the soldiers to stop shooting the people. A shepherd close to his people, Romero did not take this route; his word wanted to make the Gospel alive in the lives of his people, and of all of us. He saw the Church as a community, “that should feel all that is human and want to embody the pain, the hope, the anxiety of all who suffer and enjoy life, this Church will be Christ loved and welcomed, Christ present among us”. This is why he insisted on justice, he understood it as the central message of Christianity; not to take it into account, not to practice it, is to reject a fundamental biblical affirmation. So it is that the recognition of the martyrial testimony of Oscar Romero broadens and enriches the classic notion of martyrdom.